Today’s organizations must have IT solutions that can handle both current and emerging workloads. 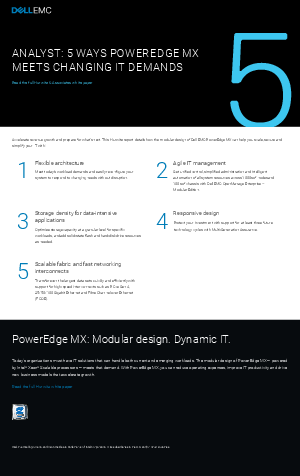 The modular design of PowerEdge MX—powered by Intel® Xeon® scabable processors—meet that demand. Access this Dell brief to learn the five ways PowerEdge MX can help you scale, secure and simplify your IT.